Just like that, we’ve been forcefully greeted by the eleventh month of the year. One more month and our 365 day journey with 2017, comes to an end. Countless changes have taken course over this duration, for better or for worse. 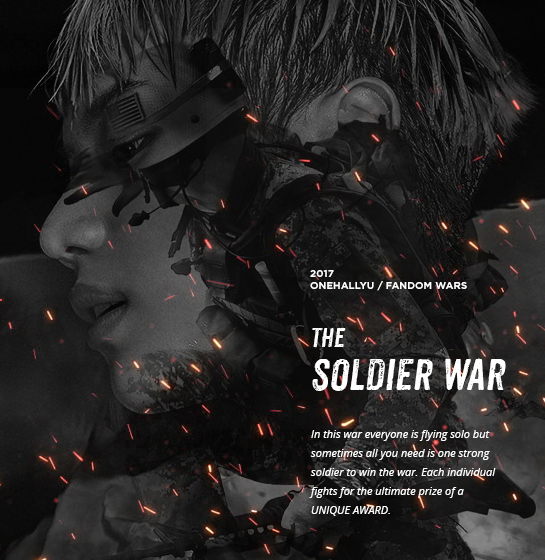 OneHallyu has also seen some drastic changes today in its visual layout. If you’ve been curious of the reason behind this new theme, wait no longer, your answer is right here. The Event Teams coordinator, snsdJM, brings together an unprecedented event in scale and prizes. From the largest or smallest fandoms to the strongest of individuals, everyone has a chance to take home a magnificent prize. The event is divided into three main sections. 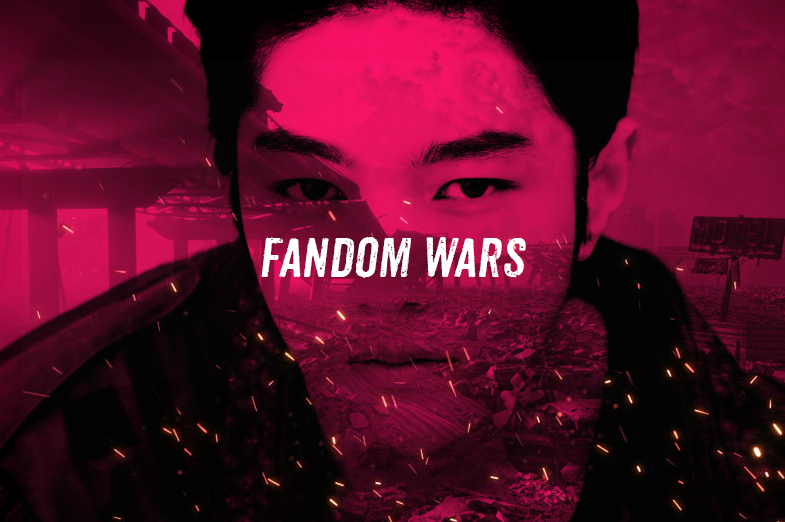 An ‘All out region war’ for the largest fandoms with many participating members, a ‘Brigade war’ for the smaller fandoms, with less manpower and the ‘Soldier war’ for the lone wolves. Visual Battle: A contest showcasing the delicate fan drawings of your favorite artist. Charisma Battle: In a competition to find OH’s best promoter, this contest requires the ability to find unique ways to promote your favourite artists. Vocals & Dance Battle: Believe you have what it takes to mesmerise in the performance arts? This contest is the best outlet to present to the community your singing and dance covers. 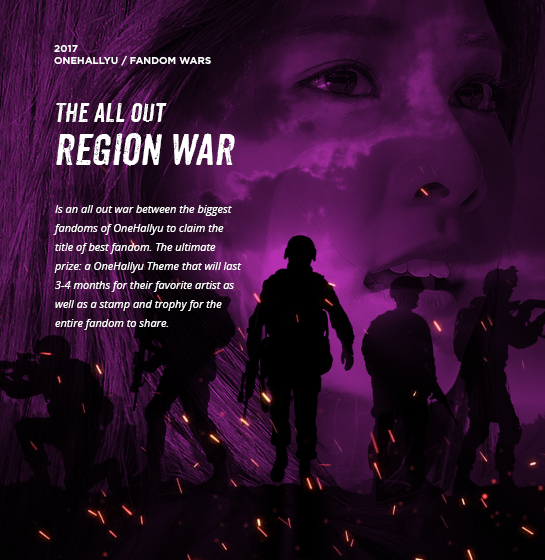 Concept Battle: This contest calls together the designers of OH, in a profile contest, which showcases your admiration to your favourite artists. MV Battle: If video editing is your cup of tea, this round is perfect for you. With the requirement to create video collages about your idols, the best of your editing skills need to be employed. 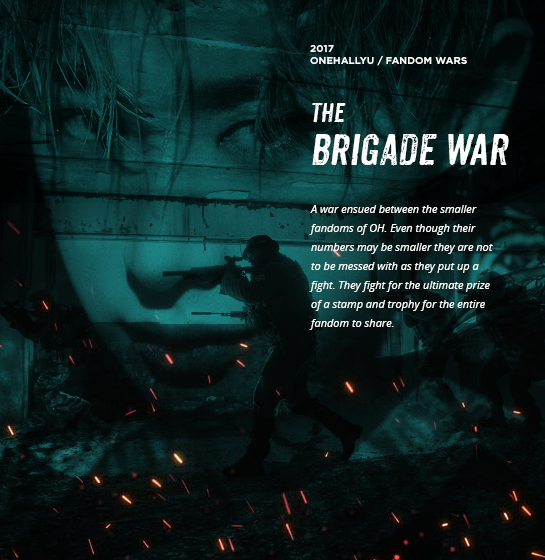 Lyricist Battle: Last but not least, to all the writers on OH, this is the perfect contest for those who enjoy writing about their favourite idols, whether this be fun creative pieces, to articles or even fanfiction.